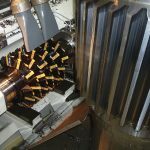 By presenting spiral face gears with an involute tooth line and an identical tooth profile in the normal section at any given radius, two applications are made possible for such face gears. 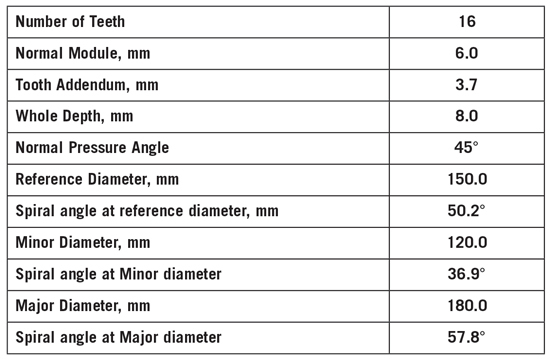 Face gears typically have a straight or skewed tooth line and varying tooth profile in normal cross section at different radii from major to minor diameter. These face gears are engaged with spur or helical involute pinions at intersecting or crossed axes. This paper presents spiral face gears with an involute tooth line and an identical tooth profile in the normal section at any radius. There are two main applications for such face gears. 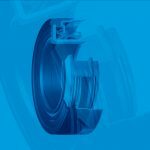 One of them is an alternative solution with certain advantages in performance and fabrication technology to the straight tooth, Hirth, or Curvic flange couplings. 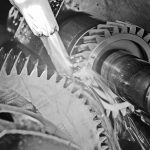 Another application is when a face gear is engaged with an involute helical pinion or worm at intersecting or crossed axes. Potential advantages of spiral face couplings and gears include high power transmission density and highly productive machining of face spiral gears. 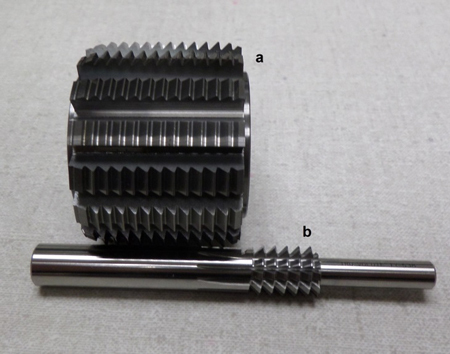 This paper describes gear geometry analysis, and design technique of spiral face involute gears with symmetric and asymmetric tooth profiles. 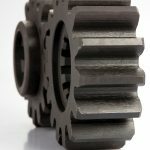 It also explains a hobbing method of these gears and tool design specifics, and then illustrates gear and tool design with numerical examples. 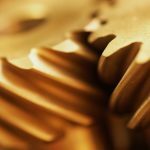 Unlike conventional spur or helical gears that have involute tooth flank profiles and straight or helical tooth lines, these spiral face gears have straight tooth flank profiles in the normal section and the involute tooth line. 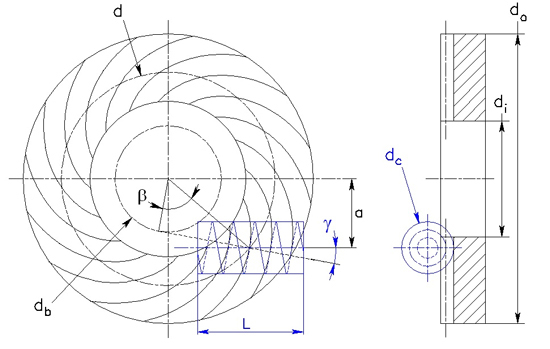 Any tangent to the base cylinder diameter db is normal to the involute tooth line section of the spiral face gear presenting a straight flank gear rack (see Figure 1, Section A-A). 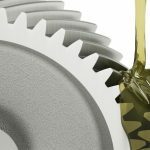 The spiral face gear tooth parameters and its root fillet profile can be optimized using Direct Gear Design optimization technique  to amplify load capacity by increasing tooth surface durability and minimizing bending stress concentration. 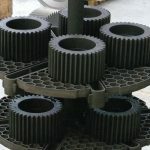 Since any normal to the involute tooth line section of the spiral face gear presents a straight flank gear rack, a gear hob can be used in manufacturing. 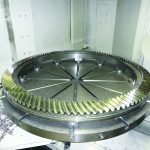 Thus, a spiral face gear per this design can be hobbed with the same accuracy as spur and helical gears utilizing conventional hobbing equipment. Where the “+” sign if the spiral gear and hob have opposite hands left-right (Figure 2) or right-left, the “– ” sign if the spiral gear and hob have the same hands right -right (Figure 3) or left-left. The normal section of the spiral gear tooth profile is an impression of the hob tooth profile in normal section (Figure 2, Section A-A). A profile of the hob helical surface section parallel to its axis presents a complex curve and exact definition of its maximum radius rc max at a contact point with the concave gear flank is a difficult task. However, this maximum radius rcmax could be defined with sufficient accuracy for a practical solution by equation 5. A higher profile (pressure) angle α and a smaller hob major diameter dc, results in a smaller spiral face gear minor diameter, achieved without concave flank undercut. A pair of spiral face gears can be used as a flange coupling (also known as Endicon® coupling ). Application of this type of coupling is similar to the Hirth and Curvic couplings. 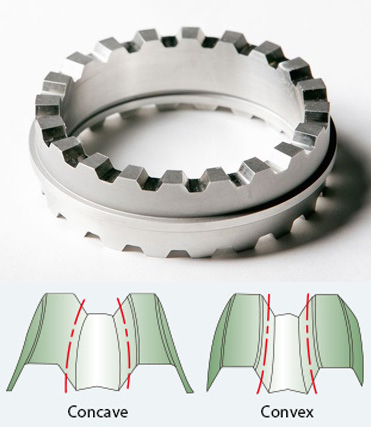 The Hirth coupling flange (Figure 5) has tapered, symmetrical teeth. Both mating flanges of the Hirth coupling have identical tooth geometry. 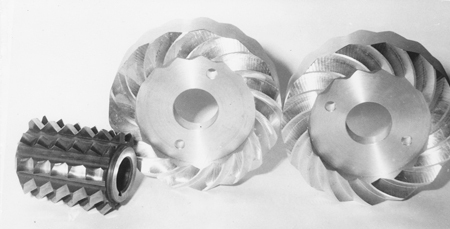 The Curvic coupling flanges (Figure 6) have teeth with a circular tooth line, though the tooth flank profiles are straight. One flange of a coupling has concave tooth lines and the mating one has convex tooth lines. 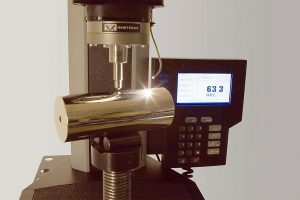 A distinct difference of the involute spiral face coupling (Figure 6) is that the normal to the tooth line section tooth geometry and the normal load are the same at any radius. 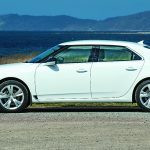 This results in even stress distribution and potentially greater load transmission capacity. Both mating flanges of the involute spiral face coupling have the same tooth geometry, but tooth spiral line directions have opposite clockwise and counterclockwise directions. 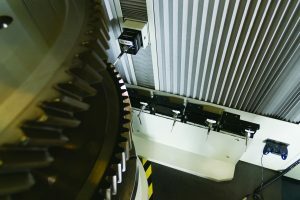 Spiral face gear parameter selection could be limited by a choice for manufacturing technology. 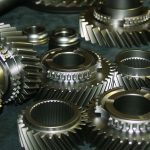 For example, the minor diameter and pressure angle for a hobbed gear are limited by a condition per equation 3. Figure 7 presents a sample of involute spiral face coupling assembly. 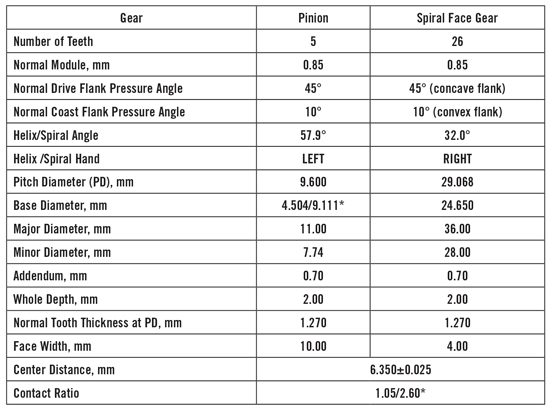 Experimental involute spiral face coupling gear parameters are presented in Table 1. A spiral face gear can be engaged with an involute helical pinion or worm at intersecting or crossed axes. 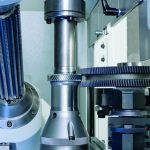 Such engagement is used in the Helicon® type gears . 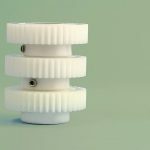 In order to avoid interference of the helical pinion tooth (worm thread) tip with the spiral face gear tooth tip at its concave flank, the pinion and spiral gear geometry must satisfy to the condition (3). 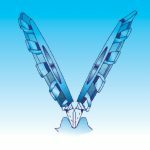 This condition requires a high pressure angle in in mesh with the spiral face gear tooth concave flank and the mating helical pinion flank. At the same time the effective tooth height in the gear mesh must provide a contact ratio greater than 1.0. In most cases both these conditions cannot be satisfied with symmetric tooth profile in the normal section that is used for spiral face couplings. 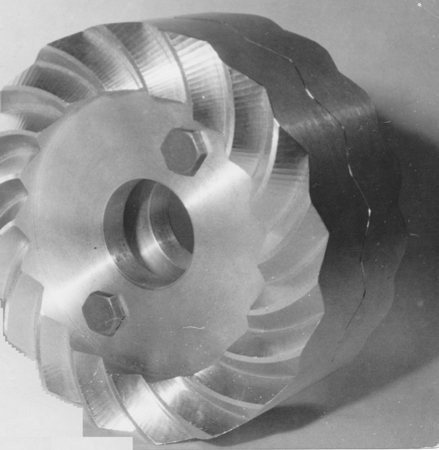 Application of an asymmetric gear tooth profiles with high pressure angle for the concave flank and low pressure angle for the convex flank of the spiral face gear allows a contact ratio greater than 1.0 in both flank gear meshes. A sample of the spiral face gear pair and its data are shown in Figure 8 and Table 2 accordingly. 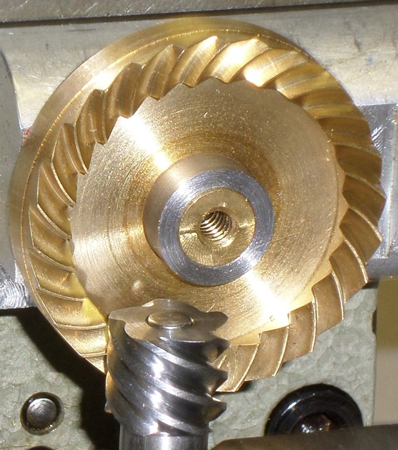 Asymmetric tooth hobs for the helical pinion and spiral face gear are shown in Figure 9. 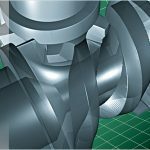 Spiral face couplings have greater load capacity and utilize cost effective hobbing fabrication methods in comparison to the Hirth and Curvic type flange couplings. 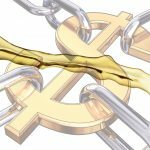 They may find many application areas including aerospace, automotive, agriculture, robotics, etc. For example, this type of coupling could be used to connect an airplane propeller to an engine shaft. Spiral face gears that utilize convex-concave tooth contact at a high-pressure angle on drive tooth flanks have potentially greater load capacity in comparison to conventional face gears. This makes it suitable for different power drives and actuators, and also in positioning systems for many industries and applications. 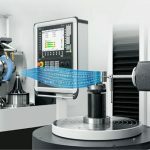 – Geometry of involute spiral face gears and their tooth machining technology are described. – Spiral face couplings and spiral face gears are described. – Potential applications of spiral face couplings and spiral face gears are suggested. 1. Kapelevich, A.L., Direct Gear Design, CRC Press, 2013. 3. 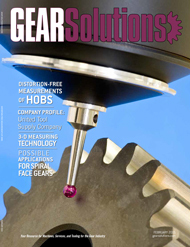 Paul, DuWayne, Spiroid® And Helicon® Gearing, http://itw.njolson.net/Spiroid/Springer Encyclopedia of Tribology Article-Spiroid Gearing.pdf. is the president of Koro Ind. Inc., and he has been a manufacturer of fine and medium pitch precision gears for more than 40 years. 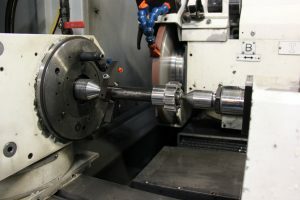 He has extensive knowledge of tooling, production methods, and other techniques required to manufacture these high quality products. Korosec can be reached by email at steve@koroind.com.